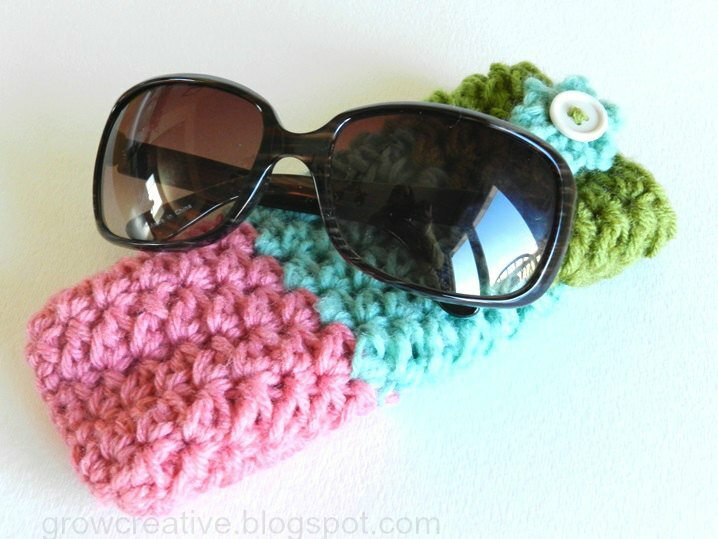 I scoured the web for a good crochet sunglasses case pattern and I found a winner HERE at Dly's Hooks and Yarns. Check it out! I had to do a little adjusting from her pattern. My first try was way too big so I adjusted the pattern to only chaining 8 at the beginning instead of 12. This made it smaller and really quick to make, but the stitches are still too loose for my liking. In the future I plan to use a smaller hook to make a tighter weave to protect my glasses even better. 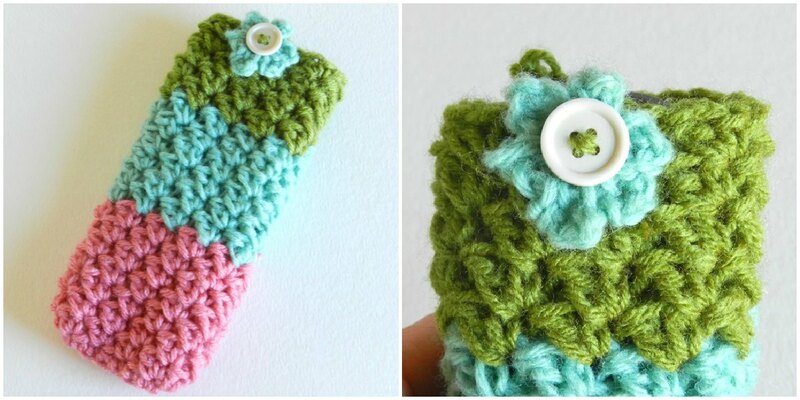 I also switched up the colors to make it more fun and added one of my mini-crochet flowers to the front. 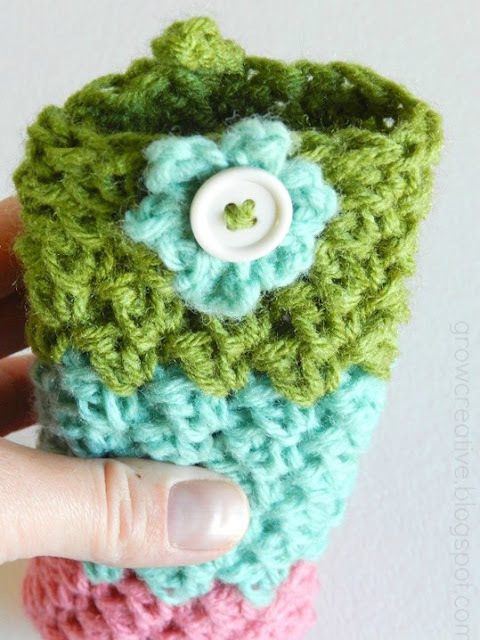 Ooh... fun project! I love the bright yarns you used. I need to make some of these to get rid of the yarn I have in my stash. I'd be thrilled if you'd link up at this week's Off the Hook! Cool.. Love the sunglasses case..